I've been working a lot the past two weeks since school started and today marks the last day of the last week that I have to close everyday! Thank goodness for more time with my husband and little man at night before bedtime! Here is what I am loving this week. Those of you that follow me on Instagram [@lizbir] might have already seen this picture, but I am going to share anyway! I work at a community college at the bookstore. School started on January 27th and my responsibility during what we call "rush" (the couple weeks before school starts and the couple first weeks of the semester) is to close. The first week of school we closed at 8pm and I got home around 9:30pm everyday. Wayyyyyyyy after Mason was already in bed and asleep. Then the second week of school we closed at 7pm (our normal time), but I was still getting home around 8:30pm/8:45pm. BUT Wednesday a miracle happened. We finished early (earlier than I thought) and I got home at 8:10pm. I figured Seth would have just put Mason down, but to my surprise, he was JUST finishing brushing his teeth and about to read him a story. I was SO HAPPY. I got to spend the last 5 minutes of Mason's day with him, reading him 2 stories before bed time. As a working mom, it's quality, not quantity, of minutes that I get to spend with Mason. Those 5 minutes were the BEST 5 minutes of my whole day. The other day, I was reading my daily mommy blogger reads when I came across Erinn's post about being featured on Julia's blog, My Life in Transition. I read her post and absolutely loved it. I've been reading the other posts in the series (when I have time). I absolutely love it! I love her concept and I love all the stories about how stay at home moms, work at home moms, full time and part time working moms and all types of other moms are making their situation work for them. Most of all, I love the support women are giving other women. I've bought quite a few paper garlands from Yellow Bird, Yellow Beard in the past. I've been dying to buy more but have kind of procrastinated doing so because I shouldn't spend the money. But when I saw Janee's post on Instagram [@yellowbirdyellowbeard] the other day, I knew I wanted to help. She really wants to be able to do yoga but it is quite expensive so she was discounting some super cool new garlands to be able to pay for yoga. I absolutely love her stuff and was happy to be able to shop small and support her passion. I know, I know. We just had Christmas (and for us, Hanukkah too) so Mason really doesn't need more toys, BUT Mason got this Go! Go! Smart Wheels - Airport Playset for Christmas and I just opened it and set it up this past weekend. I figured he got so many toys for Christmas that I could save some for a rainy day. Though it wasn't rainy, it was actually about 80 degrees, I decided to set it up. (Not that I am complaining (and I am very, very sorry for all of you who are being hit with those crazy, CRAZY winter storms!!! ), but what happened to winter weather in the winter??) This set is seriously the cutest thing! It came with an airplane and my sister-in-law got him a race car, a fire truck, and a helicopter. They say the cutest things. Mason giggles everytime! That being said, the airplane playset did not come with very many tracks. I would love for Mason to be able to drive "fly" his airplane around more track space. This deluxe track set might make it's way into Mason's Valentine's basket. Though I guess the Olympics officially (kinda?) 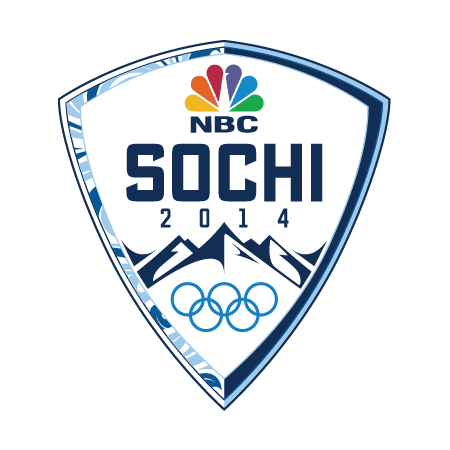 started last night, I am so excited for the opening ceremonies tonight! The opening and closing ceremonies are always SO AMAZING that I look forward to them every year (or technically two years). The winter Olympics are my favorite. I don't know why but I find the winter sports so much more exciting than the summer. My favorites are the luge, bobsled and the "skeleton". They are insanely dangerous but so interested and exciting to watch. I'm a big fan of the moms make it work series too! Have a great weekend! We will definitely be watching the Olympics here too! I'm so glad I came across the series! I can relate on so many levels! I bought my son the Go Go Smart Wheels train station for Christmas. It is pretty awesome, but his favorite part is destroying it every time I put it together. Hopefully soon he will play with it together lol...boys!